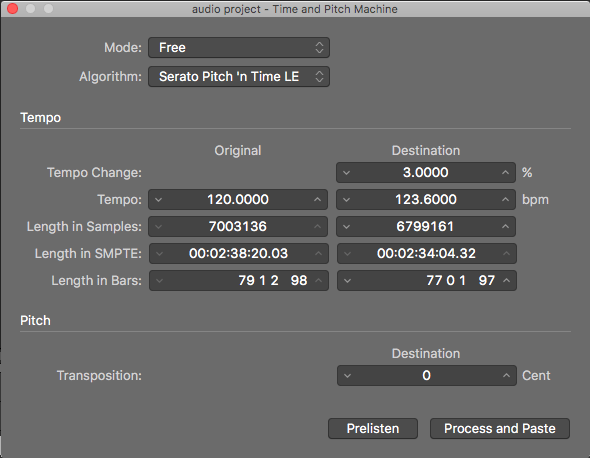 High quality time-stretching and pitch-shifting software plug-in for Pro Tools & Logic Pro for use as an algorithm within Logic's Time & Pitch Machine. 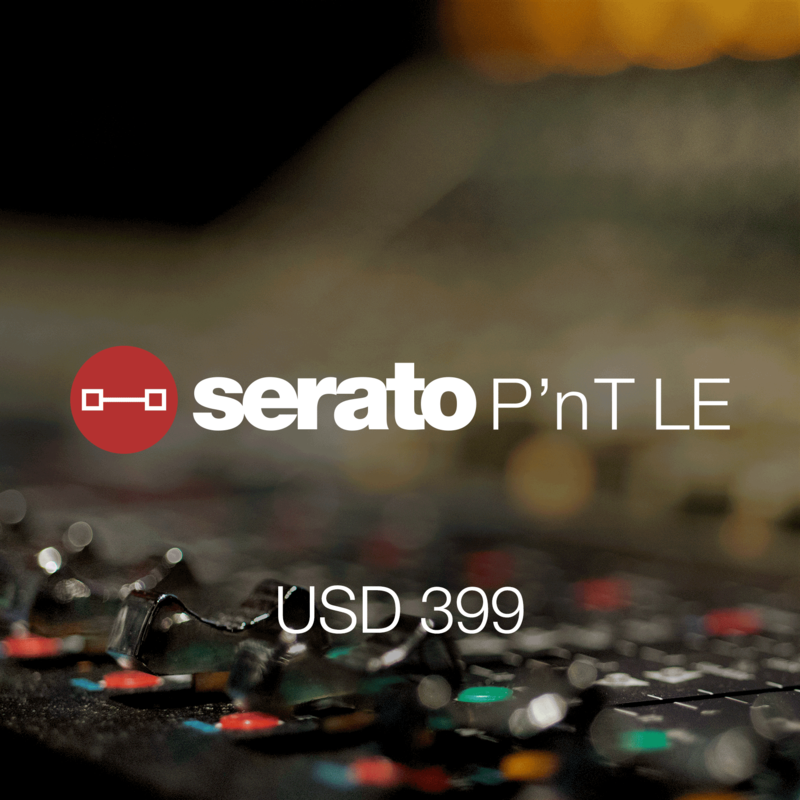 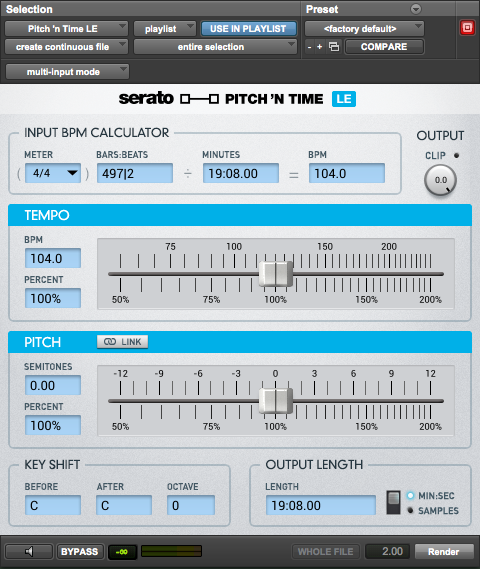 Existing Pitch 'n Time LE users can upgrade to Pitch 'n Time LE 3.0 from their Serato.com Products page. 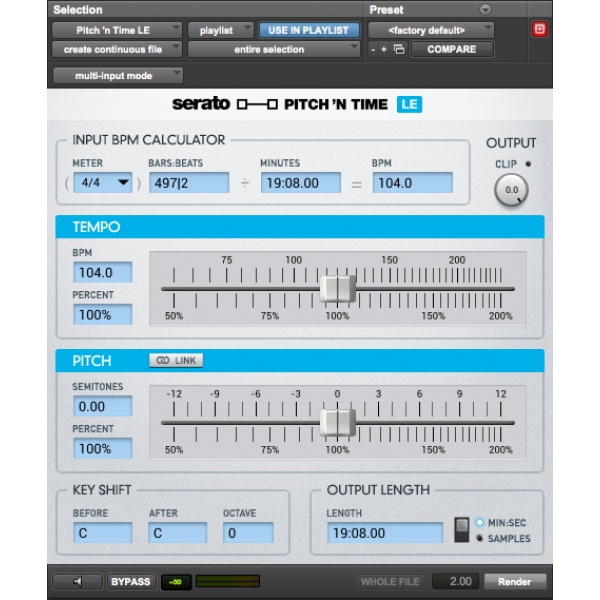 High quality time-stretching and pitch-shifting software plug-in for Pro Tools and Logic Pro for use as an algorithm within Logic's Time & Pitch Machine.